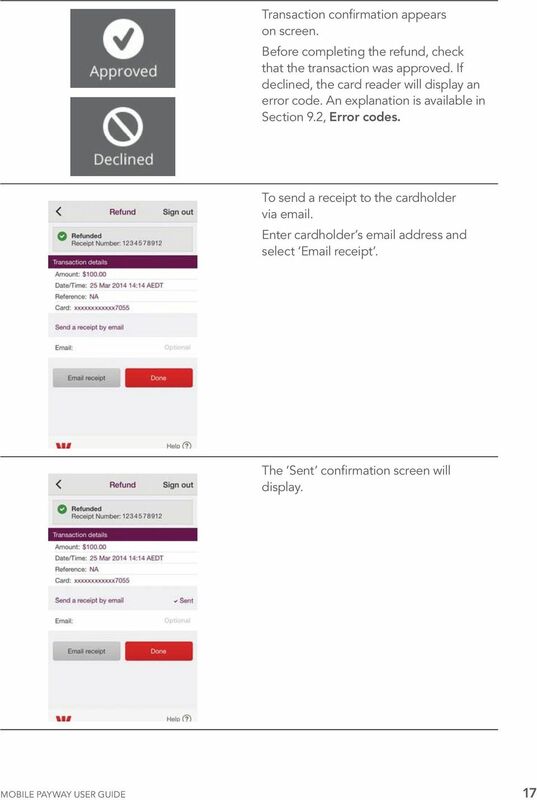 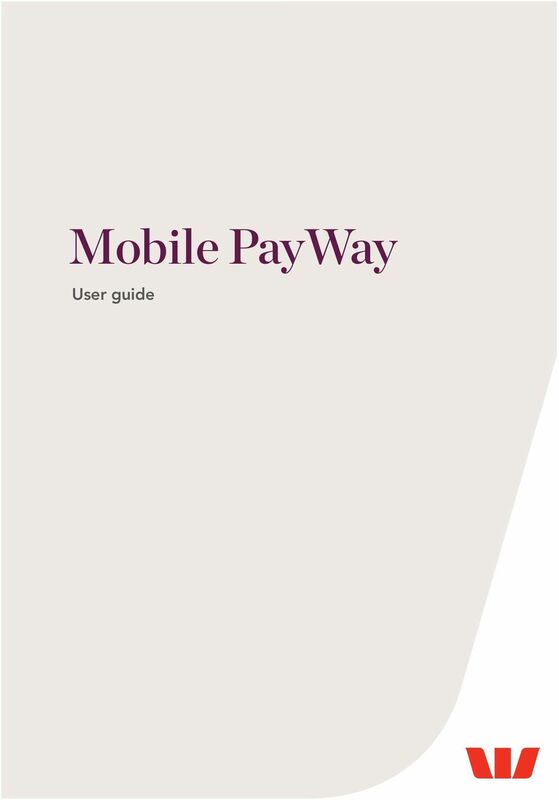 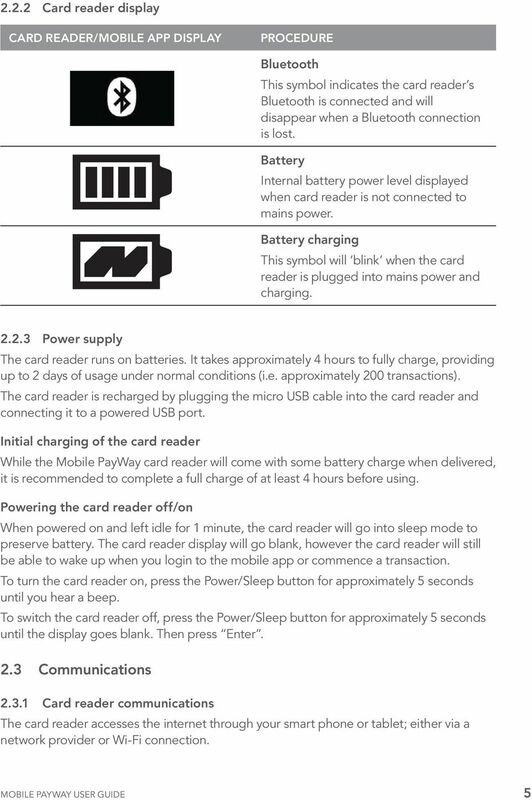 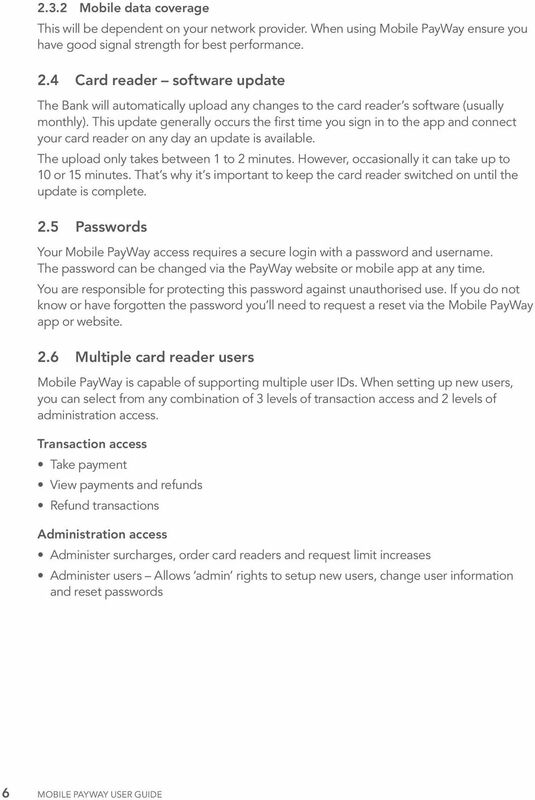 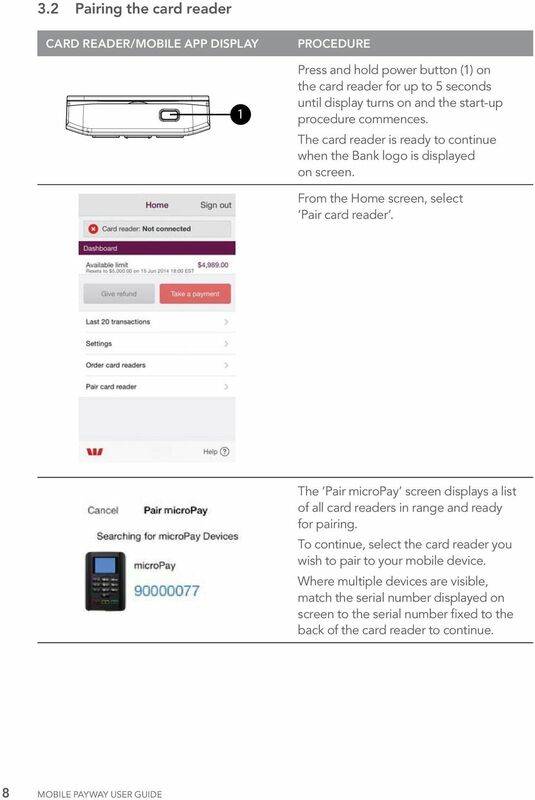 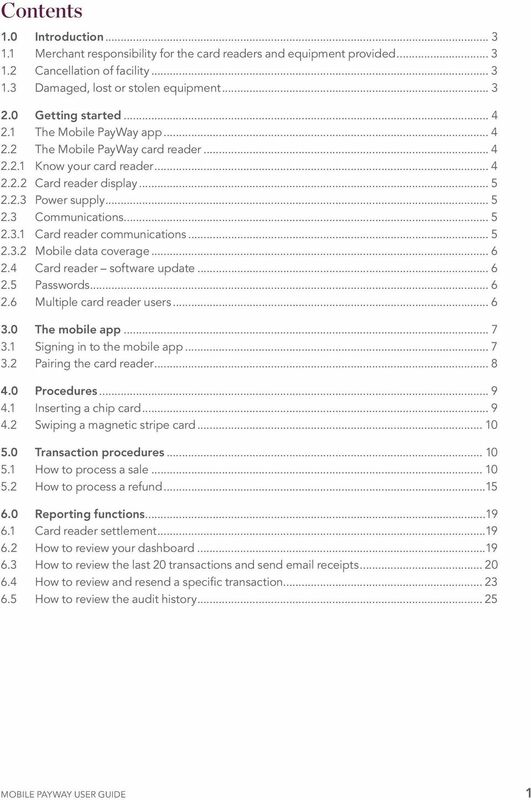 Download "Mobile PayWay User guide"
mpos Solution A: Visa, MasterCard and JCB are supported. 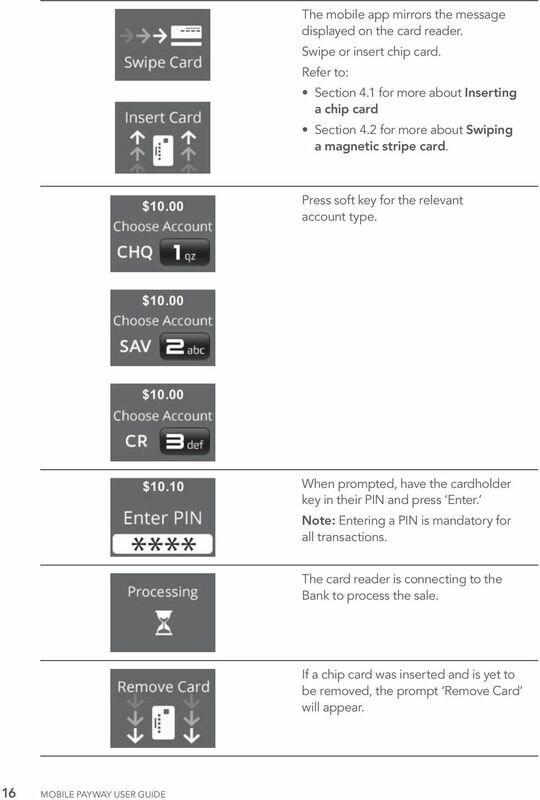 Both Debit & Credit Cards which is supported by any of this Card Type can be accepted. 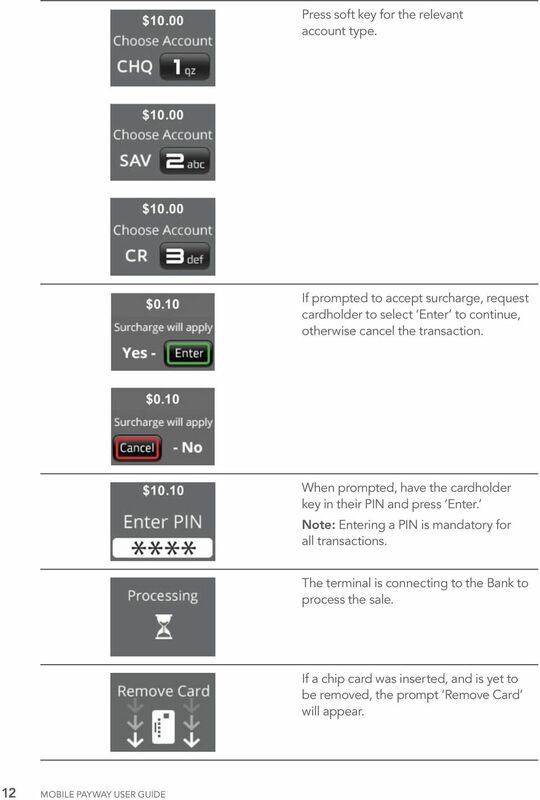 mcashier User Guide To accept payments 1. 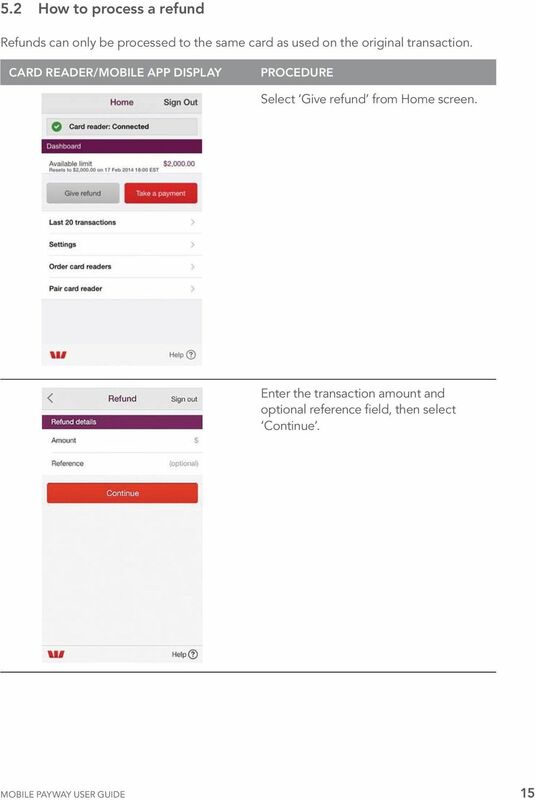 Enter the purchase amount in the app. 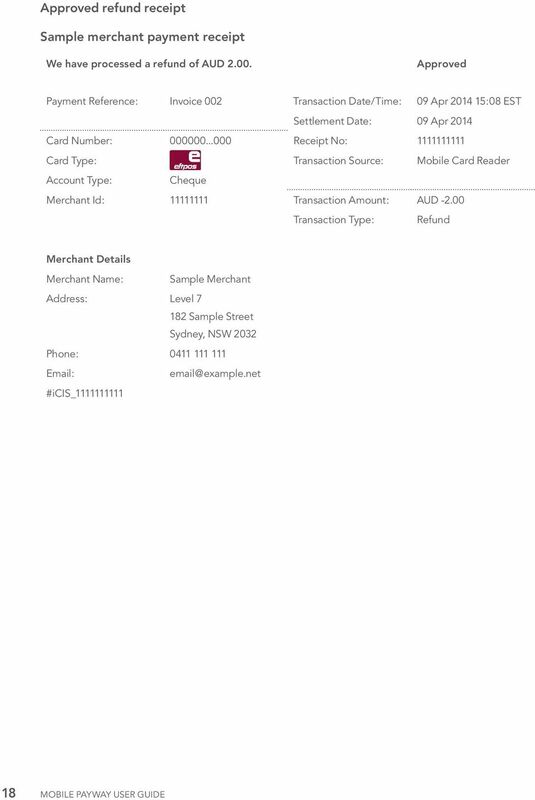 If desired, you can enter a reference under the amount (e.g. 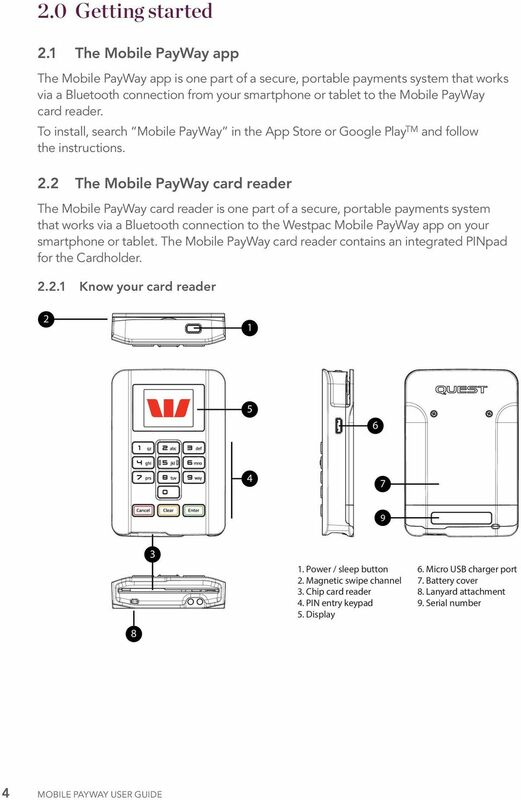 the product name). 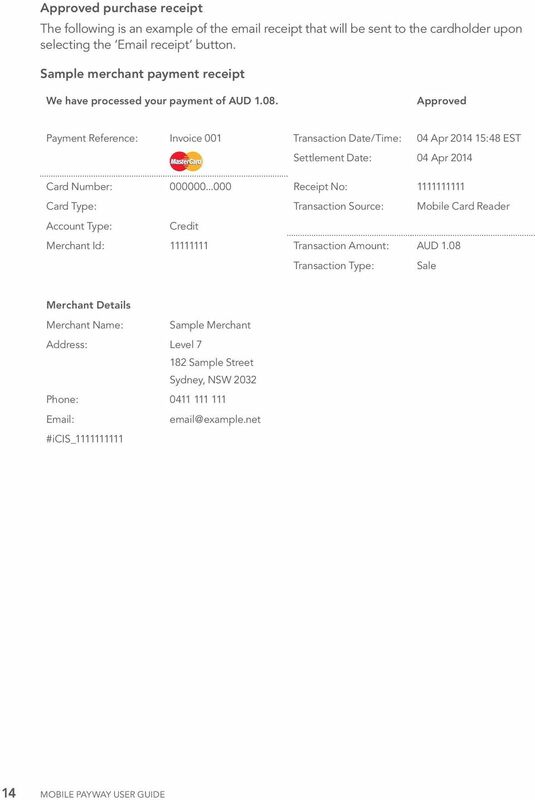 The reference will appear on the receipt. 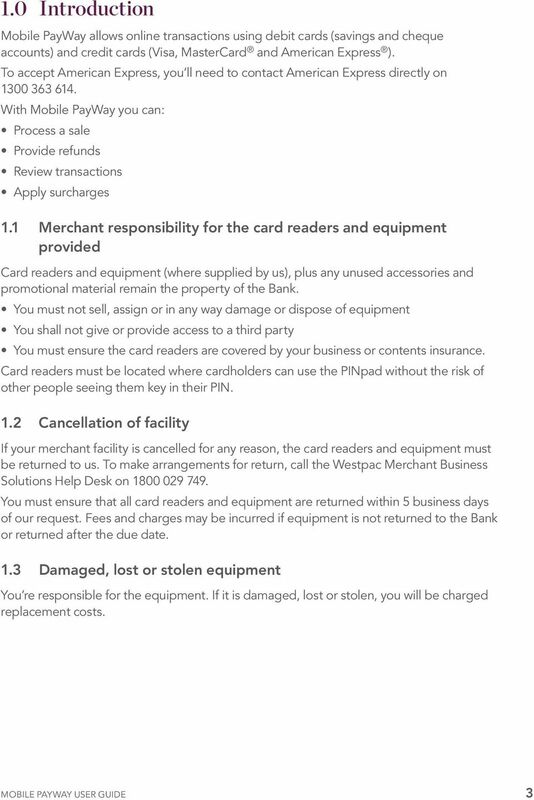 Please note: some functions may not be supported on your terminal, please speak to your acquirer for more details. 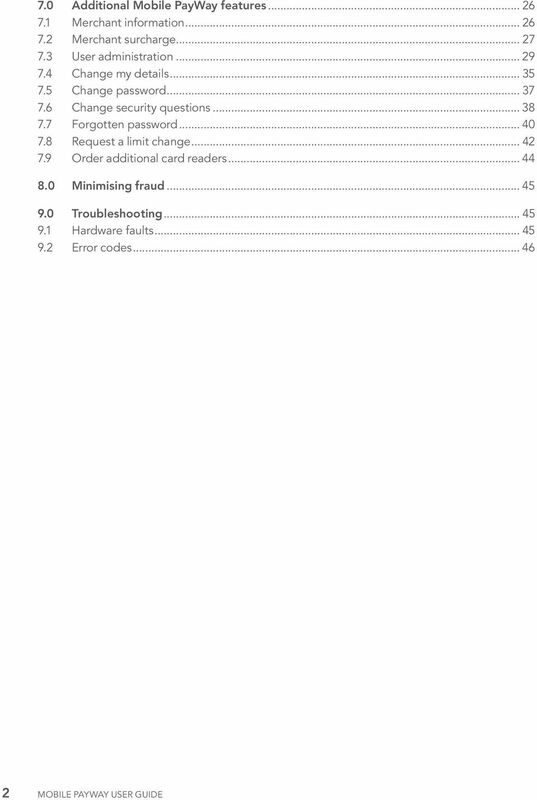 Righting wrongs. 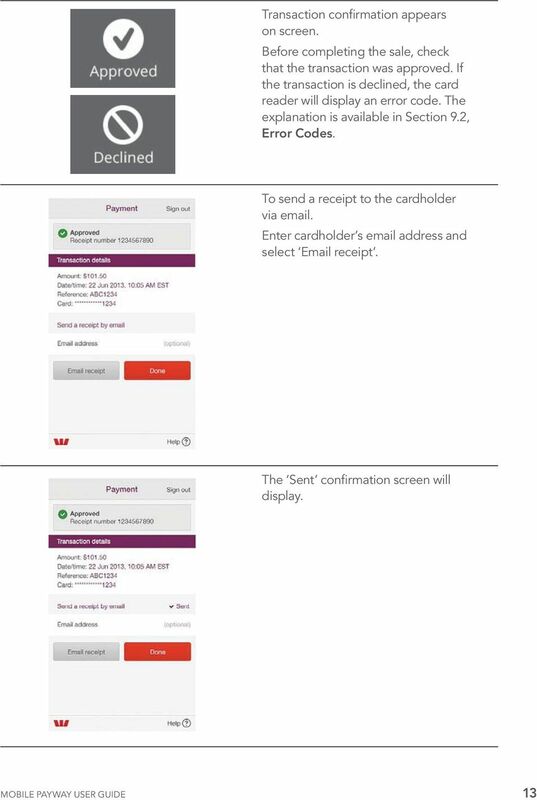 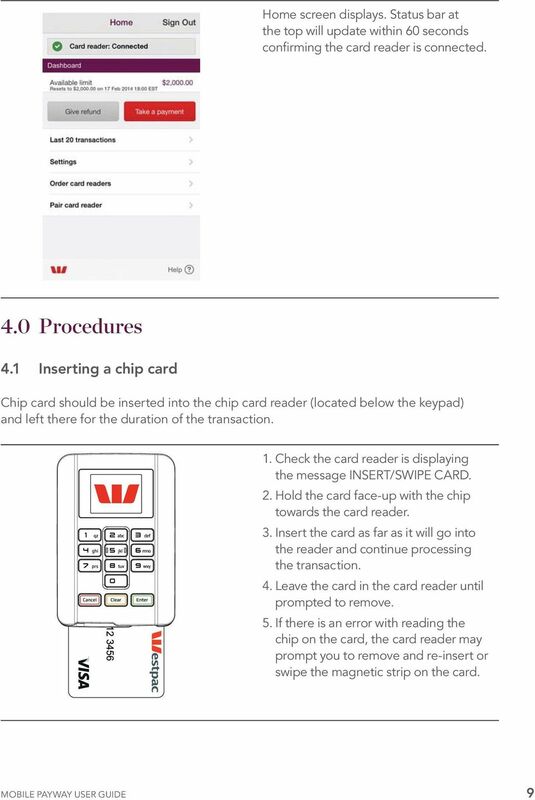 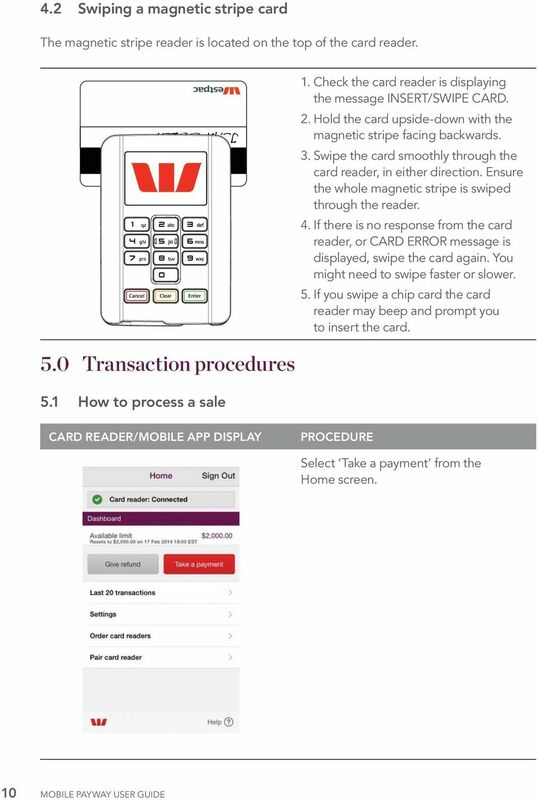 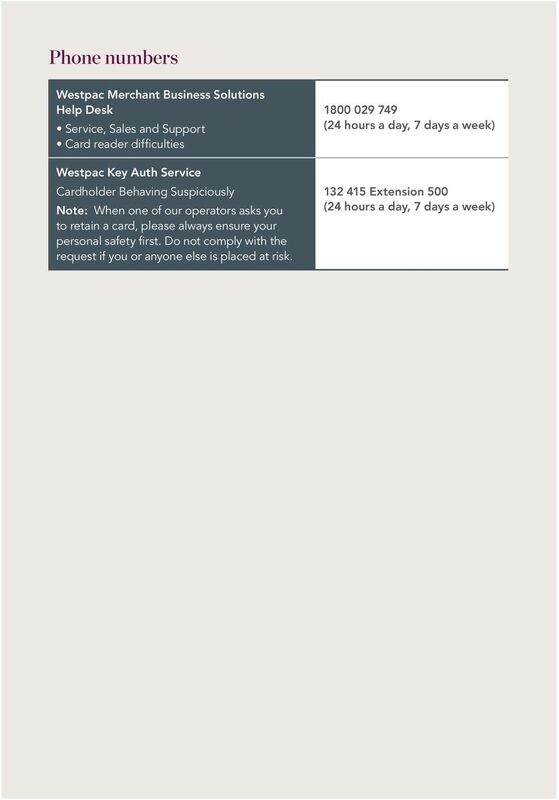 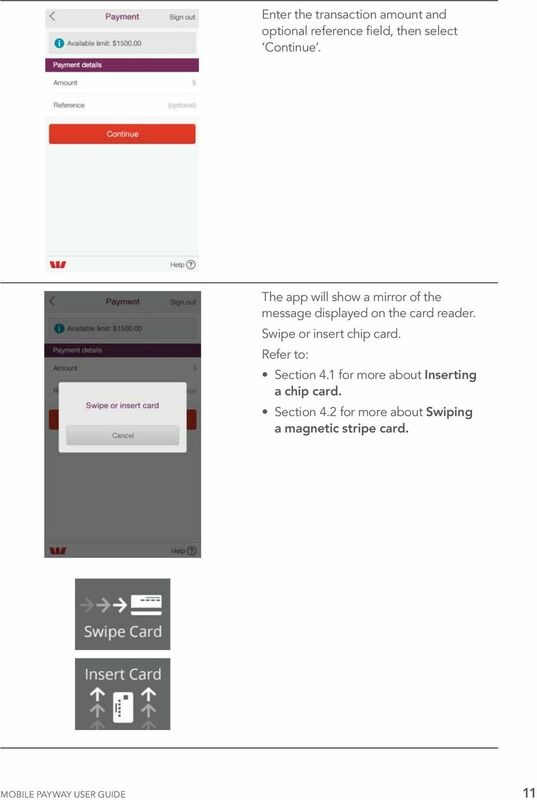 How Westpac helps you resolve credit and debit card transaction disputes. 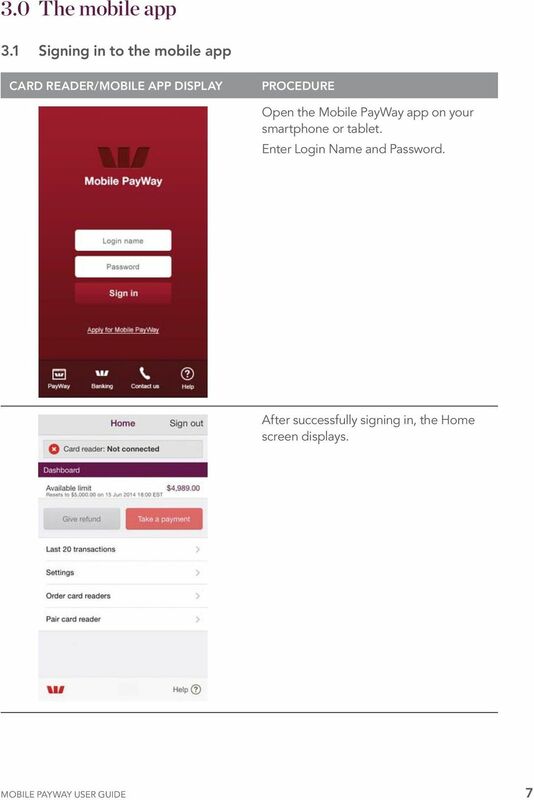 UnionPay Online Payment enabled by NAB Transact.